I know, I know... you're asking yourself how you've never seen this dreadlocked pro-tennis player before? 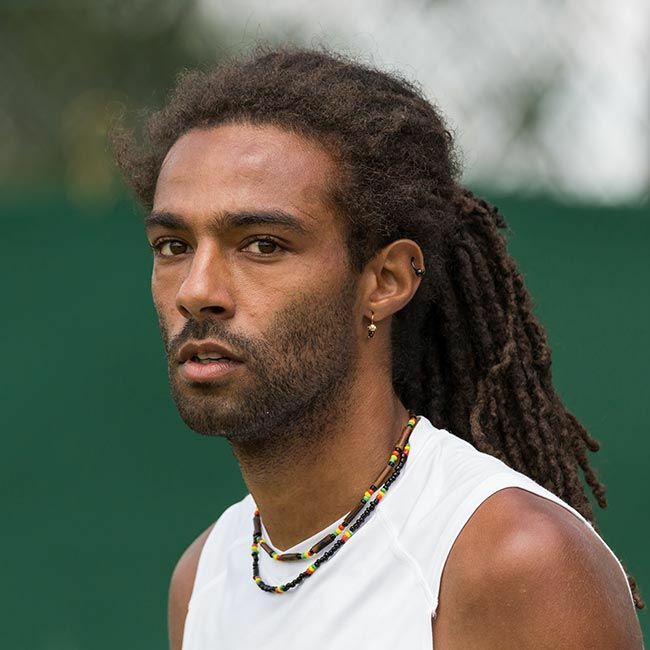 And, even if you have, you may be surprised to learn that the Jamaican-German pro-athlete has been turning heads on the tennis courts for over a decade. 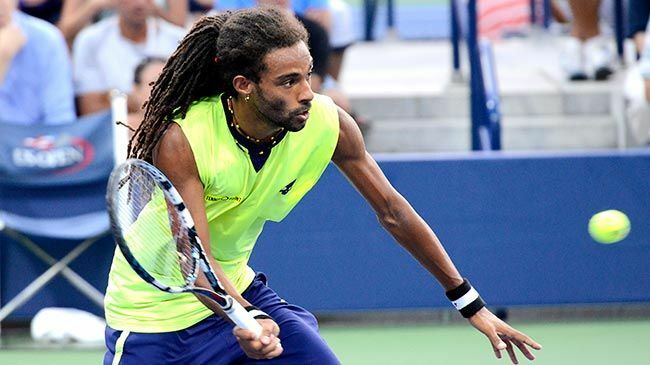 Dustin Brown has been sporting the most EPIC dreadlocks on any tennis court, anywhere in the entire world. Fortunately for all of us curly, coily, wavy, and loc enthusiasts, we get to watch Brown's sweet serves, volleys, and general awesomeness during this last weekend of Wimbledon. Now, if you are like me, the last time you watched a professional tennis match was when Serena and Venus Williams were just slaying the game, left and right, upwards and downwards, horizontally and vertically, with no end in sight. I mean, just pure and utter dominance of the game, you know? How could I and other I'm-only-here-for-the-sisters fans possibly be gifted with more #blackexcellence on the court? When I tell you I squealed with delight at the sight of Dustin Brown's high-flying, past-the-hip length locs, it was more of a guttural exclamation that erupted from the depths of my soul. I was PUMPED. And I just had to tell you about it not only because Brown is a remarkable talent, but because his hair is causing people to lose their minds... seriously. Will the weight of Brown's dreadlocks impact his performance? Are opponents distracted by all that hair? How often does Brown wash his dreadlocks, if at all? Will Brown cut his dreadlocks at some point during his career? As these questions spill with reckless abandon out of the mouths of commentators, sports journalists, and other interested parties, I would say to all of them when answering the aforementioned questions: Pay attention to the game, not on fetishizing the man's hair. We all can and should appreciate those epic tendrils of glory, but do not focus on them so much that you miss what is so great about them: they sitting atop the head of one of the best tennis players in the game right now. Even though Brown will not be advancing to the finals this year, I still want to follow his career. Will you? As ever, stay curly and loc'd! You can't just leave this article without experiencing the power of Dustin Brown's glow... watch this compilation video, created by Wimbledon, of the man in action!